Hello and welcome to my beginner’s guide to compound bows. I assume you have absolutely no idea about this topic so far so we are going to start with the absolute basics which means explaining certain terms, words and accessories concerning those type of models. In case you are thinking about getting a beginner compound bow set you have come to the right place. I suggest you read this article to get an overview first before you buy anything. There are a few things you need to consider to be able to choose the right model for yourself or your kids but to be able to do so, you need at least some basic knowledge. To be honest: a lot of parents buy models for their kids without knowing anything about archery beforehand which is just lame, in my opinion, because after they have bought a lot complain about problems that would have been avoidable with just a tiny bit of knowledge beforehand. The string broke? Well, waxing it before shooting would have helped. The whole thing exploded? Sounds like dry firing to me. So I would recommend you invest a litlle bit of time before buying the first beginner compound bow package that you stumble upon. If you know just a few things the shooting experience will be so much better resulting in joy, motivation and success which is so important for every hobby out there. As you all know there are no dumb questions. 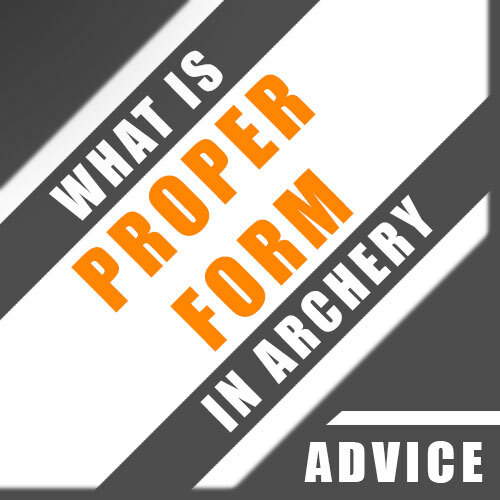 So when still in doubt about a certain topic after reading this beginner’s guide to compound bows I’d encourage you to ask me via the contact form before damaging your compound or yourself. Or the other way around: ‘ Which hand do you pull a bow with ?’. A right handed person (usually someone that writes with his right hand) holds the compound with his left and pulls the string back with his right hand. A southpaw does it the other way around: holding the bow in his right hand and pulling with his left. Some models come as ambidextrous which means that they can be used by right and left handed archers – most models out there are right-handed only, though. So in case you are a lefty I recommend you get a model that is meant to be shot left handed. For example the Infinite Edge Pro is available in a version for right and left handed shooters, while the SAS Rage is right hand only. You need a compound that fits you. If you shoot a model for righties but are left handed the grip won’t fit and the arrow rest and cam system will be on the wrong side which makes shooting impossible. Eye dominance simply means that one eye is more dominant than the other, which is absolutely normal. The problem is, that the dominant eye does not need to match the dominant hand. 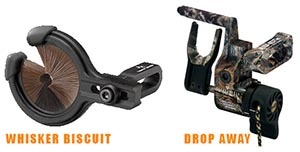 This is called cross eye dominance, so in case you are right handed but your left eye is the dominant one, you might get a problem with sports that depend on aiming like shooting guns or shooting compound bows (with a peep sight and bow sight), because the dominant eye should be in line with the peep, bowsight and bow string. Otherwise you might experience what is called a parallax effect. So choosing a bow also depends on your dominant eye and the way you wanna shoot it. Instinctive archers shoot with both eyes open, so they don’t need to learn or re-learn shooting with the other hand in case they are cross-eye dominant. 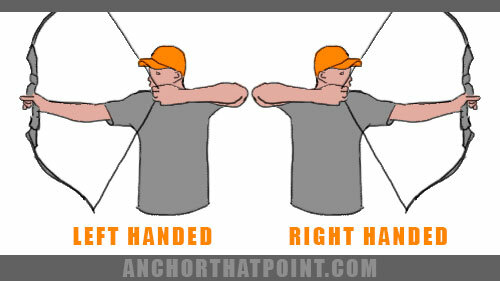 Olympic archers or bowhunters might get better results if they would switch to the left hand. Please feel free to read my in-depth article about eye dominance, the parallax effect and how to find out what dominant eye you have here => How To Determine Eye Dominance. This is a tough question to answer as we all are individuals, so are our kids. Some are stronger, some are taller, some have longer arms. In general I would choose a model that will grow with them for some years to test if they like archery at all. That model does not have to be expensive (Barnett, for example, has a lot of affordable models for youth archers out there: Lil Banshee, Banshee, Vortex etc.). When choosing a model the draw weight is a very important factor as many kids have problems with poundages that are just too much for them. This results in poor form while shooting (some cannot even pull the string back without taking weird positions) so the young archer won’t have much success and will lose motivation sooner or later. The draw length is not a big deal as most youngsters fall into the given ranges by the youth compound manufacturers. Just make sure that they can pull the string back to their corner of the mouth. If they can’t because the bow won’t let’ em then youn need one with a longer draw length! If your kids are still interested in archery after outgrowing that first model I would invest in a higher priced one like the Infinite Edge Pro because of its wide adjustability. 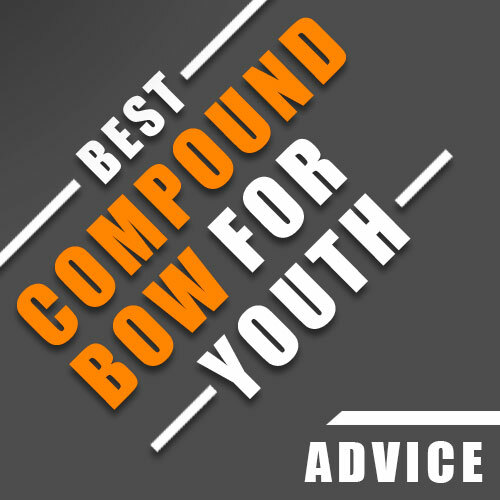 I wrote a longer article about choosing a model for your youngsters here => How To Choose A Youth Compound Bow. Just read it and you will get a better idea about which model to choose for your offspring. Getting the right arrows for your bow is often-times more important than the compound itself and the vast amount of different models (carbons, aluminum, hybrid etc) available can be intimidating from time to time if you have to choose one that is just right for you and your compound. They need to fit the bow’s draw weight, they need to fit your draw length and they need to have the right tips for the intended purpose. They should not be too light or too heavy, nor too stiff or too flexible, nor too short or too long. Often times manufacturers have the information about which arrows are rated to be used with their products in the manuals or on the packages that come with them. 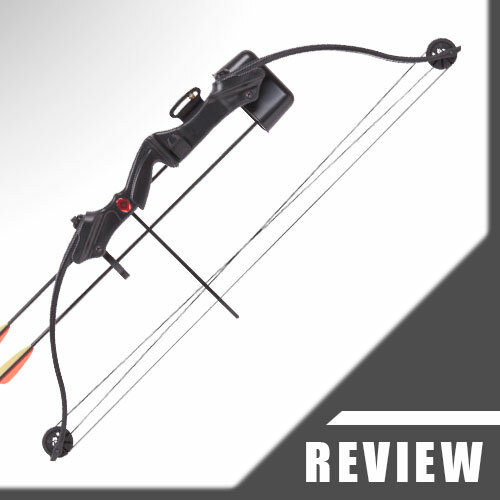 If you want to learn more about choosing the right arrows please read my guide here => Choosing The Right Arrows For A Compound Bow. Of course you can start out with cheap not-so-fitting arrows but you definitely will see a big jump in consistent accuracy after getting some that are intended for your bow’s draw weight and your personal draw length – and you won’t go back to cheaper ones ever again! If you are just starting out and are on a budget I would recommend you get aluminum arrows. If you can afford it I’d suggest you start out with carbon arrows right away as they are a lot better. Don’t use fiberglass models as those tend to crack and splinter. And don’t use wooden ones for compounds as those will break right away. As a matter of safety you should check your arrows from time to time for cracks and splinters (that can happen after hitting hard objects like trees or walls or rocks etc.) because if you overlook those the arrow might break while shooting the next time and – in the worst case – might injure yourself (think splinters in hand). Draw weight is also called poundage – as it is measured in pounds – and describes the amount of weight you have to pull back when drawing a compound bow. It’s as easy as that. Just don’t choose a draw weight that is too hard for you to pull back as it is more important to learn proper form while starting out instead of pulling back a lot of weight (if you’d want to do that just go to the gym). Most compounds have adjustable draw weights that can be set higher or lower via limb bolts that connect the limbs to the riser. Some models for kids have draw weight ranges, which means it can be from 17 to 21 pounds (not adjustable). If you want to learn more about draw weight feel free to read my guide about it here => How To Choose Your Draw Weight. The draw length of a compound bow is a setting that determines how far you can pull the string back. 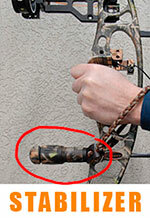 In case it is set to 29″ you won’t be able to pull it back farther (in contrary to a recurve). It just stops there. The individual archer – which is you – has a personal draw length as well. That means your body size and the length of your arms determine how far you will be able to pull a bowstring back. 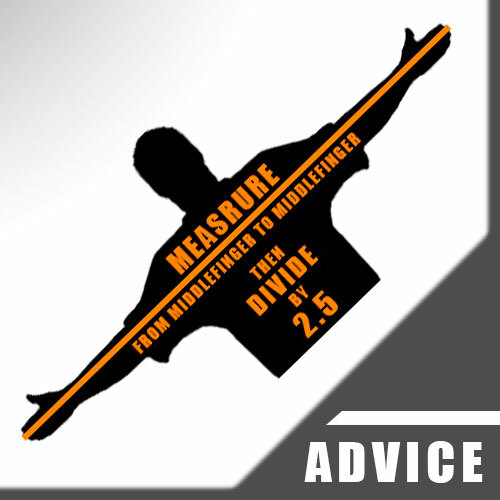 If you want to learn how to measure your draw length I would recommend you read my guide here => How To Determine Your Draw Length. When you know your draw length you have to choose a compound that fits it, which means that your personal draw length is contained within the draw length range of the certain model. For example if you have a draw length of 30″ but the bow’s maximum draw length is 28″ you won’t be able to shoot that model correctly. The draw length can be adjusted on a lot of models via the cam modules on each end of the limbs. Just make sure that you are able to pull the string back to anchor properly (see the image below)! This is really important because if the draw length of the compound is too short you will not be able to shoot with proper form! The let off of a compound describes how much of the draw weight you have to hold while aiming after pulling over the bow’s peak weight. In case its draw weight is set to 70 lbs and its let off is 65% this means that you will have to hold around 24.5 lbs while aiming. So you need to hold only 24.5 lbs for aiming after pulling over the peak weight of 70 lbs (but you have to pull 70 lbs at the beginning, don’t forget that!). 65% let off is wider than 80% let off. For starting out, models with wider let offs will do better as they make learning to shoot with proper form easier because they give you more room for aiming before pulling forward again. All in all compounds with a wider let-off (for example 65%) are more comfortable to shoot than models with lower let offs (think 80%). Most of the models available today have a let-off around 65% which seems to have become the standard. The valley of a compound is the distance between full draw and the peak weight of the bow. It is the distance in which you only have to hold a percentage of the model’s full draw weight supported by its mechanical relaxation (let off) system. Valleys can be wide or small and you can experience humps in the draw-cycle while reaching them (pulling over the peak weight of the bow can be felt as a hump, for example). Wider valleys are more comfortable for beginners as you have more room before the compound will pull you forward for releasing the arrow. How you experience the valley of a compound is more often than not a personal thing which means you have to test for yourself. The back wall on a compound bow is the point where you cannot pull the string back any further. It is where the compound reaches its maximum draw length setting. Solid back walls are usually preferred as they give you a clear reference point for when you have reached the end of your draw cycle – consistently. Don’t try to overdraw! Just stop when you hit the back wall of your compound. Overdrawing can damage the bow, and in the worst case, yourself. The brace height of a compound is the distance from the string to its grip’s pivot point. Shorter brace heights (string is closer to your hand holding the compound) usually lead to faster yields as you have to pull the string back over a longer distance into a full draw than if the brace height would be longer and thus farther away of the hand holding the bow. Models with shorter brace heights are in general more aggressive and therefore less forgiving than models with taller brace heights. A standard brace height nowadays seems to be 7″, as most of the modern compounds have that brace height. Models with a brace height of 6″ are faster than ones with taller brace heights and reach 340 fps and up easily compared to models with a brace height of 7″ and up that often are stuck around 340 fps concerning their speed. The axle to axle length of a compound is measured from one limb’s end to the other where the steel axles hold the rotating cams in place. The ATA (axle to axle length) is the distance measured from center to center of those metal rods. The true length of a model is longer as you have to add the lenght of the cams to the axle to axle length. The limbs of a compound can be solid (means one single piece on each side) or split (quad limbs). 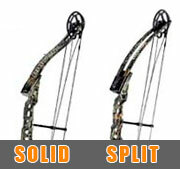 Choosing one or the other won’t affect the performance of the bow at all as all manufacturers use modern materials nowadays that get the most out of a certain model be it split limbs or solid limbs. Over the last years advertising campaigns tried to convince customers to buy one over the other but in the end that was just advertising. So it won’t matter if you go with something like the SAS Siege (solid limbs) or the Infinite Edge Pro (quad limbs) as long as you like your compound – the overall performance is affected by a lot of other things but not necessarily the limb design. What are parallel limbs by the way? Most modern compounds have a parallel limb design that eliminates the slightest hint of a handshock. There is nothing better than that available at the moment. An arrow rest is the most important accessory for getting accurate shots consistently as it affects the flight of the arrows. A lot of arrow rests that come with cheaper priced bows are crap (for example all models manufactured by Man Kung like the SAS Rage). They are made of cheap plastic and sometimes the arrows will hit them when being released resulting in wild shots or missed targets. So you need to upgrade those cheap arrow rests to high quality drop down rests or Whisker Biscuits for getting consistent results while shooting accurately. And to answer that question: there is no one best arrow rest to rule them all. Just get one that works together well with your compound and that lets you shoot straight. As with the arrow rest there is no one best model concerning bow sights. Most sights that come with cheaper models or are included in sets are mostly crap. So you need to upgrade to something better. 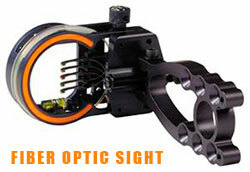 I would recommend you getting a 3-pin or 5-pin fiber optic sight made from aluminum. Your shots will get more accurate and your groups tighter together, so it’s definitely worth it. A peep sight is a device that makes aiming a breeze. It needs to be served in to the string (the string needs to be splittable to do so) and will be in front of your eye at full draw. ‘ The ring needs to be in the ring ‘. Maybe you have heard that one before: it means that the ring of the peep sight should be in the ring of the bow’s sight when you look through both for aiming. As serving in a peep sight is not that easy and as it needs to be adjusted to the shooter a professional shop might come in handy. A stabilizer gives balance to a compound and makes it overall more comfortable to shoot. It also takes vibrations out of the shooting process thus silencing the bow down and minimizing hand shock (if there is any at all because of the parallel limb design of most modern models). 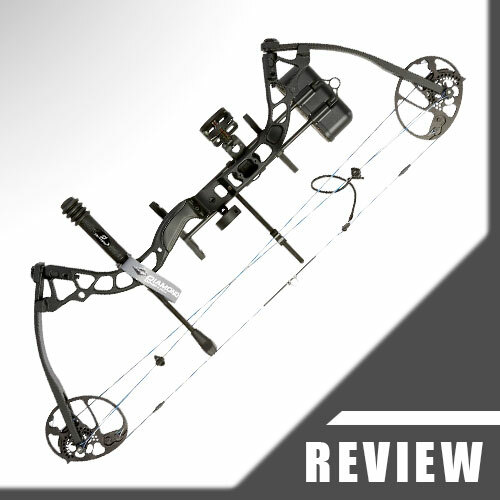 What size stabilizer for compound bow you should choose depends a lot on the size of the model, its weight and all the other accessories that you have put on it as those will add up to the overall weight. So when in doubt just go to a bow shop and they will be happy to choose one for you. 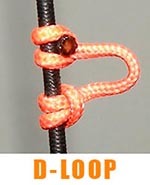 A D-loop acts as a nock point on a compound bow (the place where you should nock your arrows to) and needs to be installed if you want to shoot the compound with a mechanical release aid (which most of compound shooters do). It has a loop in a d-shape where you can clip the release aid to for pulling back the string. 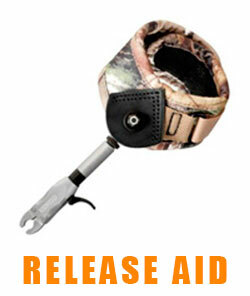 A mechanical release aid makes the whole shooting process more accurate as it takes your fingers out of the equation. Some compound models can be finger-shot as well. 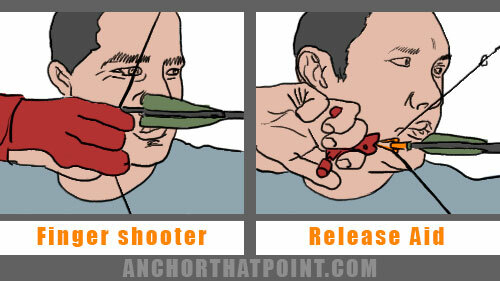 Just keep in mind that you need to be a really good archer for doing so as your fingers and hand muscles can affect the shot by torquing or twisting the string while releasing the arrow affecting its flight and where it hits. A standard release aid is attached to your wrist (think glove), has a clip for attaching it to the D-loop for pulling back the string and a trigger for releasing it in the most non-disturbing way possible. 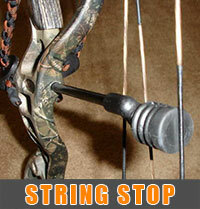 A string stop does just that: it stops the string after the shot thus taking vibrations out and silencing the process down which might be good especially for bowhunters as sound travels faster than an arrow so the game might get warned by using a compound that is too loud. They silence the string while shooting as they take vibrations out as well, making the whole shooting process even quieter. A cable guard prevents the cables from touching each other while shooting. It also prevents the fletchings of the arrows from hitting the cables while being shot. It’s kind of a guidance system so that some parts of the compound don’t block each other while shooting because when that happens the flight of the arrows might be affected which can lead to wild shots or not being accurate and consistent enough – which you definitely don’t want. Be aware that every state in the USA has its own legal requirement for minimum draw weights concerning bowhunting. Those range from 30-50 lbs. If you buy a bow that has a maximum poundage of 45 pounds but your state requires 50 lbs you are not allowed to hunt with it! So decide if you want to go bowhunting before buying a compound. What is it good for? For bowhunting a lot of hunters prefer compounds that can produce high Kinetic Energies because those usually provide a deeper penetration on the game. Kinetic Energy depends on the speed of the bow and the weight of the arrows. Models with higher poundages are in general faster than models with lower draw weights. On the other hand heavier arrows are slower than lighter arrows but produce higher Kinetic Energy as they tend to store the energy of the bow a lot better than lighter ones. If you want to learn more about Kinetic Energy For Bowhunting please read my guide here => Kinetic Energy For Bowhunting. What I’d like to add is that even the strongest and fastest compounds with lots of Kinetic Energy won’t relieve you from the resposibility to kill in the most humane way possible, which means one shot, one kill in the best case. To be able to do this you need to become good at shooting in general. So learn to shoot properly before going to hunt! A bow press is needed to adjust the draw length of certain models. As modern compound bows are under a lot of pressure all the time you need to get the tension out of them before being able to adjust their draw lengths. Some models are widely adjustable (like the Infinite Edge Pro, for example) and you don’t need a bow press for doing so. Others need one. So make sure if you need a bow press for adjusting the draw length or not before buying a compound because you might either need to buy a bow press too or drive to a professional shop to be able to get it changed if needed later. Dry firing or dry loosing means to shoot a bow without having an arrow in place. The stored energy of the full draw is usually released into the arrow when shooting. If there is no arrow the energy goes right back into the bow and can do severe damage to the hardware and – in the worst case – to the archer. So don’t you ever try to dry fire a bow! You definitely will regret it! 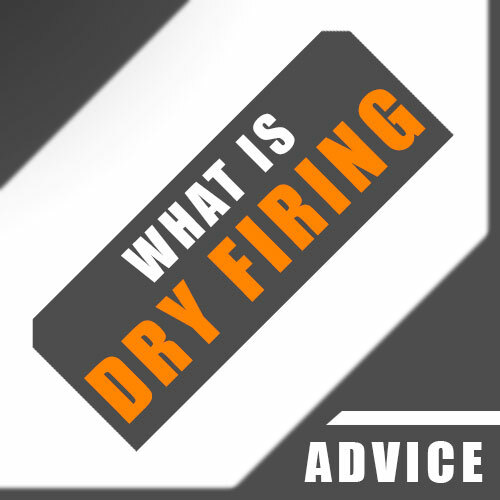 If you want to learn more about dry firing a compound bow please read our guide here => Dry Firing A Compound Bow. When to wax a bowstring? A critical point is definitely before you shoot it the first time ever. 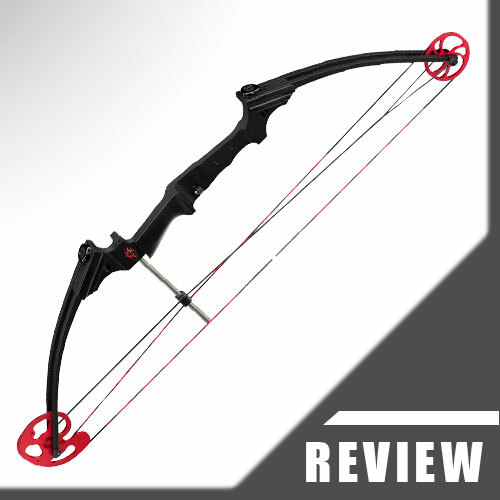 I found reviews of people that stated the string was coming off of their bows or broke when shooting them for the first time. Of course that does not need to happen so why take the risk if you can minimize it with a bit of bow wax (applied to string and cables) that will elongate the string’s life and keep it from wear and tear? After that you should wax string and cables regularly (maybe weekly, depending on how often you shoot, of course). After a year I would switch out both of them against a new set. How to wax a bowstring? Just get some standard bow wax and rub it on the string and cables. It’s as easy as that. The modern materials that actual models are made of don’t like being in extreme temperatures or moisture for long periods of time. This will damage the compounds severly and irreversably. So store them in a safe place or hang them on a rack. Don’t put them on one of their limbs and let them standing there for a month as this will lead to unwanted damage as well. In contrary to recurves compounds are always strung. You don’t need to unstring them when you don’t shoot them. This means that you should stop drawing back as soon as you hit the back wall. 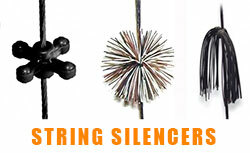 Overdrawing can derail the string from the cams which can lead to damage or injury. That means that you should look for cracks and splinters in compound and arrows regulary. Doing so can prevent your model from being damaged and yourself from being hurt. Arrows with fine cracks can become very dangerous when being shot as they could break sending splinters through your hand that is holding the bow. Never Use Arrows that are shorter than the draw length of the compound! Doing so can land it in your hand again. When finger-shooting try to keep everything lined up straight while shooting (compound, string, arms). If you twist the string too much with your fingers while pulling back or releasing this can affect the flight of your arrow on the one hand, on the other hand – if done in an extreme way (think the poundage is too much etc.) – the string can get derailed from the cams leading to damage and injury. always have an adequate backstop in place to catch wild shots or when you miss the target. Use hay bales for that purpose or other backstops that won’t destroy your arrows. always supervise your kids when shooting. Bows for kids are no toys and can hurt pets or people. Teach them a responsible way of dealing with compounds. 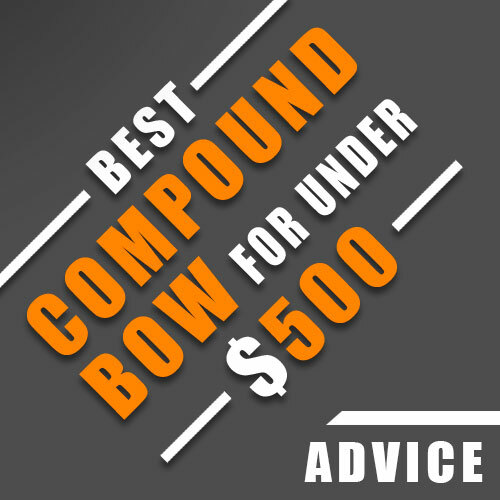 I hope you got something out of this small beginner’s guide to compound bows and now know what you have to look for when deciding for a certain model or which topics need further investigation by yourself before being able to make a final decision. I am convinced that you need to have a bit of knowledge before you can choose and buy anything with confidence – be it a car, a bike or a compound. When doing so you will save yourself some bad experiences and sad faces right from the start. Thanks for reading, have fun and shoot straight! Thanks so much for this very informative and well written compound bow tutorial. Beginners should read this before using his or her compound bow. It is the time reading this tutorial. Thanks so much for this very informative and well written compound bow tutorial. Beginners should read this before using his or her compound bow. It is worth the time reading this tutorial. 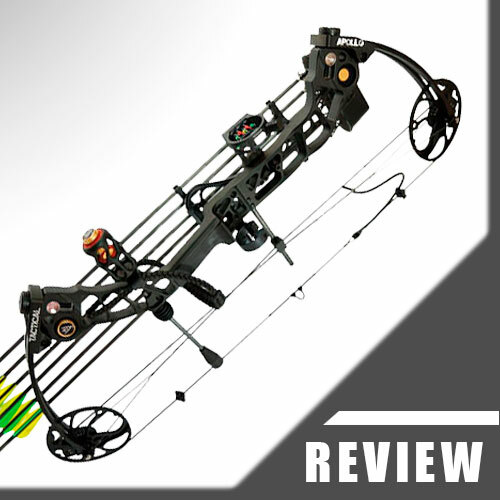 Thank you for this tutorial on Compound Bow basics! It was very well written! I am brand new to Bow hunting and I’m interested in buying my first bow. This Article has given me some knowledge on the questions I should be asking Pro shops when selecting the appropriate bow for me.